We are all addicted of something, but it’s whether or not these habits are healthy. 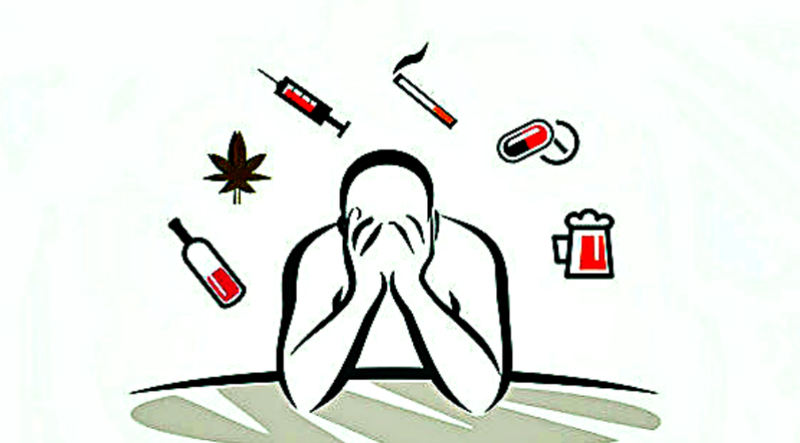 Majority of the world, if not every single human, has some kind of addiction. Some have more addictions, some less, some are intensely addicted, some less intensely. We are addicted to exercise, social media, watching movies, TV shows, even with self help. But these addictions are not as unhealthy as, let’s say smoking, or drinking alcohol. All addictions sprout from a mindset of escapism. We try to escape some feeling so we find a habit or activity that’s enabling us to do this. By escaping we don’t integrate this emotion we run away from, and we just create resistance towards the feeling that we don’t want to feel. Going inward and facing these feelings is not an easy journey, however, that’s what stops the fueling of our addictions. Anyway, if we don’t do this, at least we can manage our addictions. And let’s not call them addictions, let’s call them habits. Make sure that these habits are good for your health. There are 3 addictions that are considered as the worst to our health. These are drugs, alcohol and smoking. So first make sure you don’t do any of these. If you have any of these 3 worst addictions focus on solving them first. Go to a professional or find another addiction that’s healthier but still gives you the same emotional reward. However, even if you don’t have any of the 3 worst habits there are still some things you would like to stop doing, things that are bad for your health. This month do it. Replace the worst habit in your life with a healthier one! Think about what’s the one habits that is most detrimental to your health. What would you like to not do? Without what you would be healthier? Answer these questions. If you don’t have any of these 3 worst addictions, find the one habit that’s the most unhealthy from all your daily habits. When you know this habit ask yourself what’s the one thing that this habit gives you that you love. Is it relief, a sense of control, what is the emotional reward this habit gives you? When you know the emotional reward, think of other ways you can achieve the same. Think of other habits that can give you a similar emotional reward but are healthier. When you have a couple of healthier habits to replace the one that’s the most unhealthy for you, choose the one you would like to start doing the most. Whenever you get the urge to do the unhealthy habit, do the healthier one you want to replace it with. Keep doing this for 3 weeks. At first it might look easy, but then you might feel some resistance to do the new habit you want to replace the old unhealthy habit with. Your mind will want you to return to the old habits. But keep persisting. The resistance will decrease with time. It’s because our mind wants us to keep to old habits because they are proven to be safe, at least in its opinion. But since you know there are better habits, listen to reason.